Our Story… An Oral History of Leichhardt Women’s Community Health Centre was launched on International Women’s Day 2016. Download it here to read accounts from women who were involved in establishing the centre and were employed at it during the early days. Speech by the Prime Minister, the Hon E. G. Whitlam QC MP, at the Women and Health Conference, Brisbane, 25 August 1975. 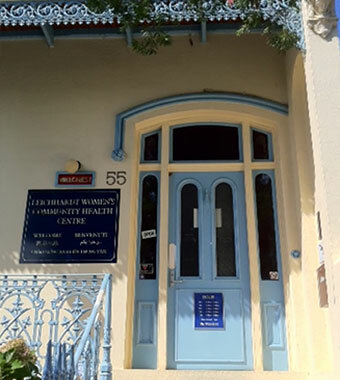 In 2019 Leichhardt Women’s Community Health Centre is still run by women for women and works closely with local hospitals, health professionals and community agencies to provide health care to around 4000 women a year focussing on women experiencing disadvantage and women recovering from trauma. It now receives funding from the NSW Health via Sydney Local Health District and relies on donations and fees to provide an extensive array of services. For information about how you can help the centre, please see the page Support Us. Donations $2 and above are tax deductible. This history section is being developed to include more gems of information and photographs from our past. If you have a connection with the centre from its past, please contact Roxanne at manager@lwchc.org.au and share your experience. Formal opening of Leichhardt Women’s Community Health Centre, International Women’s Day 8 March 1974, with Bridget Gilling (pictured speaking).